to describe what a sea carrier has to offer. Khatanga Seaport is engaged in freight transportation across the Arctic seas. The company’s multifunctional fleet is able to deliver cargo anywhere in the world, weathering both shallow waters and polar ices. 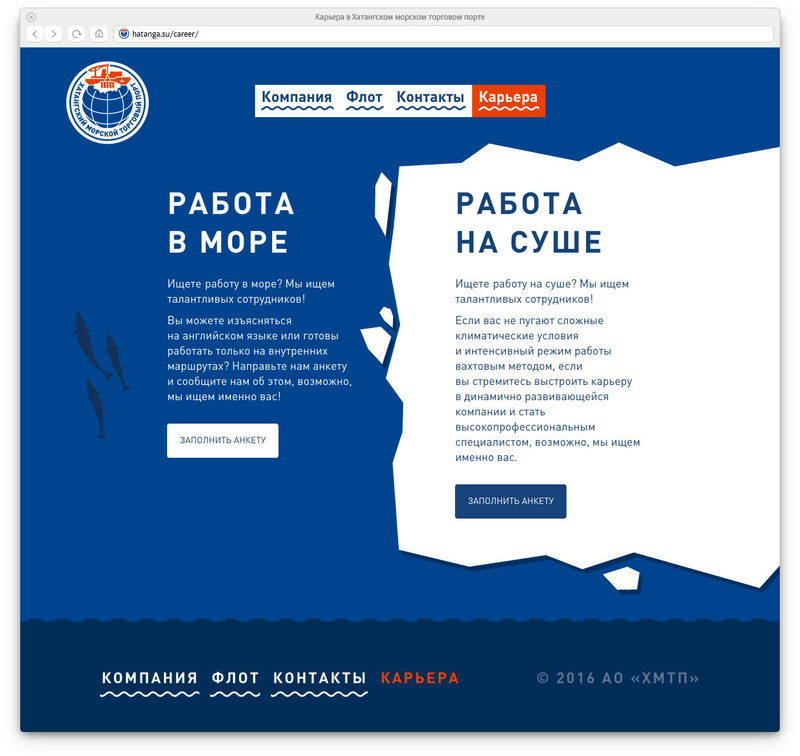 The website created at the studio introduces the company and demonstrates its unique competencies. Together with a cargo ship, website visitors embark on an animated voyage to learn about freight transportation in the northern waters. 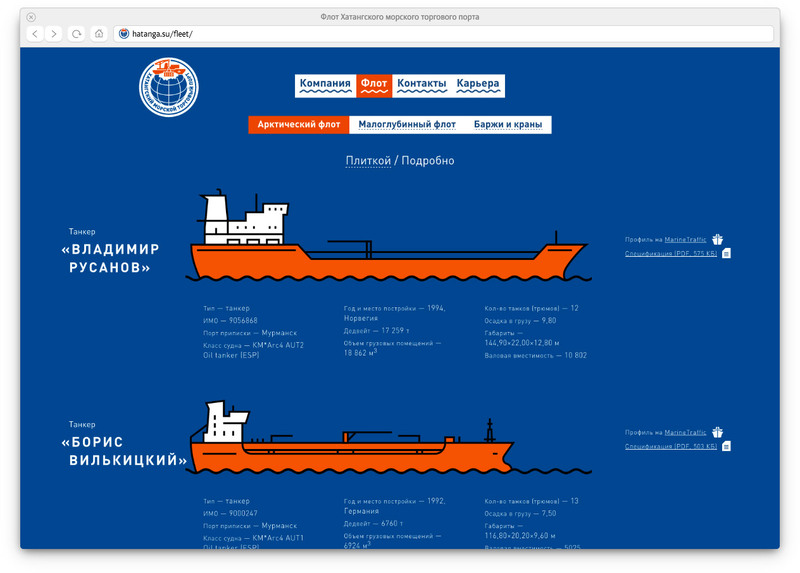 A special section of the website introduces Khatanga Seaport fleet. 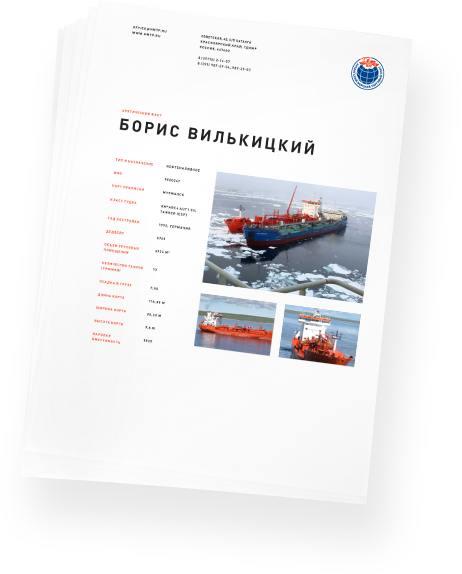 Visitors can learn about primary characteristics of the ships and print out their specifications typeset in accordance with the company’s style. Minimalistic illustrations represent primary functional features of the ships whose proportions correspond to their real-life dimensions. Unobtrusive animation makes exploring the website more fun. Pausing the cursor over one of the ships for a moment will set it in motion along with a variety of additional elements: ice floes will float by Arctic tankers and lighthouses will glide by shallow bulk carriers. Occasionally, more exotic objects will turn up. Important milestones of the company are presented in the History section which, like cinema, acquires color as the years go by. In the Careers section of the website, job seekers can choose between working on land or in the sea. 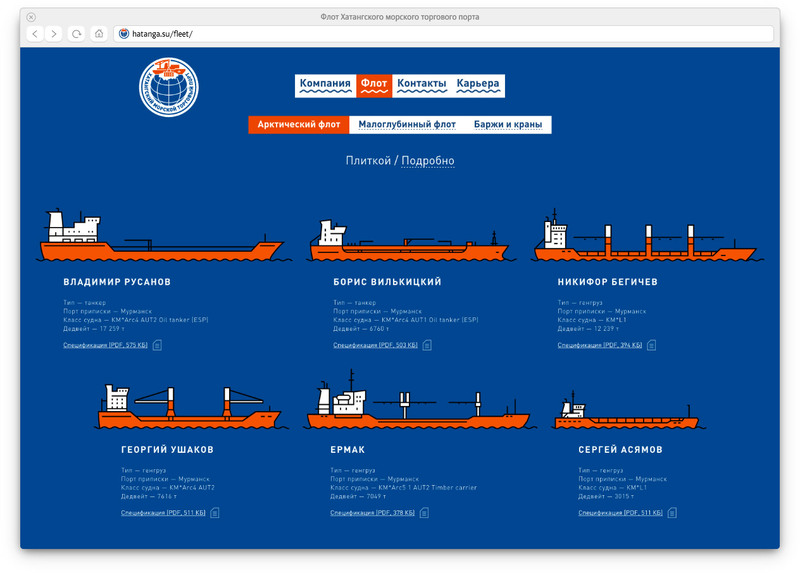 At the end of the journey, the ship arrives to a port and the website visitors are presented with a map of the company’s primary trade routes.